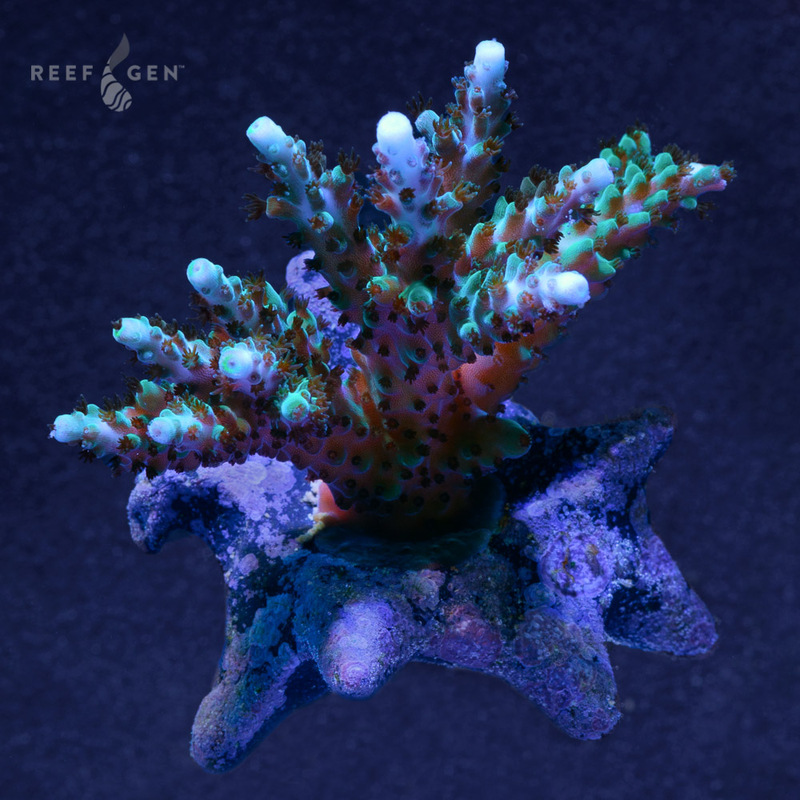 Burger's Cerulean Blue Large Branch SALE! 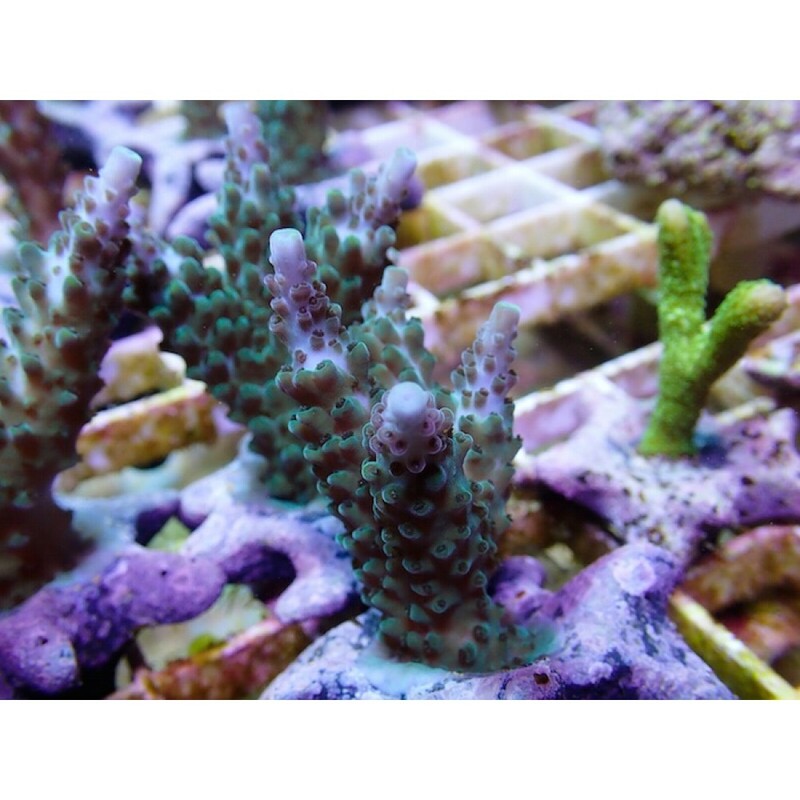 Home » All Coral » Burger's Cerulean Blue Large Branch SALE! 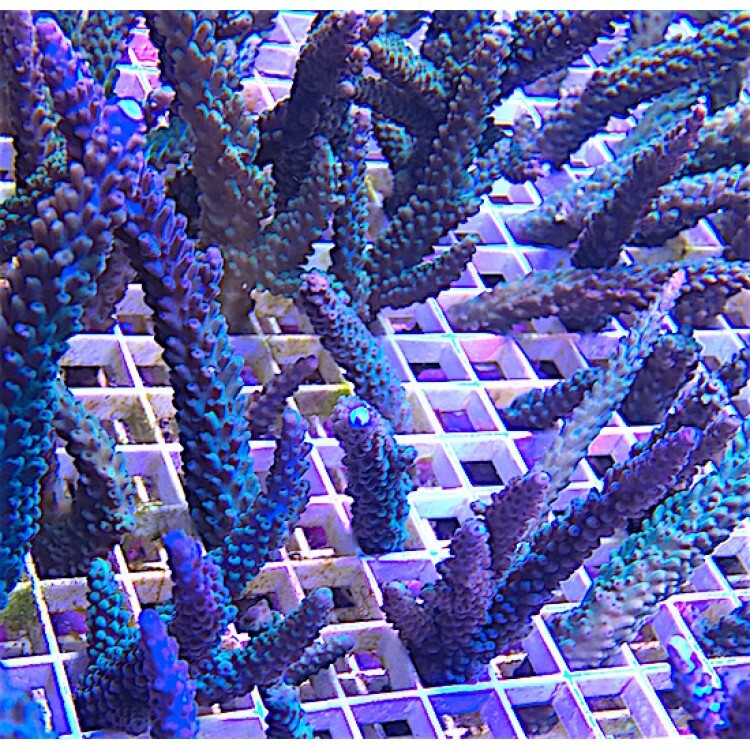 Joe has done some heavy pruning of his tank of these beauties and we are excited to share them with you in this sale! Priced per inch, have some fun and create your own colony! Please let us know your prefrerence for having these pieces mounted or un-mounted. This strain also traces its way back to Joe’s tank after originally hailing from Joe Burger’s infamous Long Island reef tank. Gorgeous blue and green branches, sparsely diverging in the staghorn fashion.